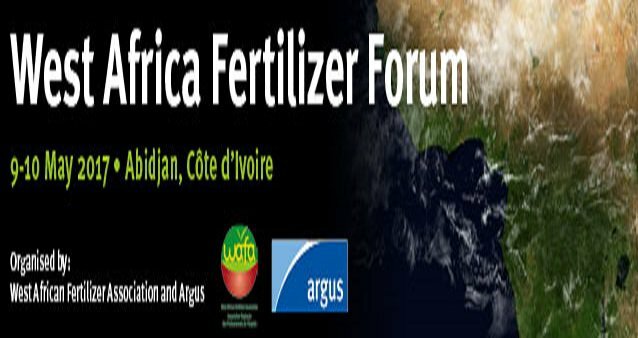 The West Africa Fertilizer Forum 2017 will bring together all links in the fertilizer supply chain in this region, as well as global producers, technology developers and investors to identify the action needed to increase accessibility to fertilizer, expand the market and boost farmers’ productivity. As the only conference representing the voice of the West African fertilizer industry, it is the only forum where you can see for yourself how the market will develop and what that means for you. Keynote speaker: H E. Mamadou Sangafowa Coulibaly, Minister of Agriculture & Rural Development, Côte d'Ivoire will give the opening address on the morning of 9th May. This event combines the regional expertise and unrivalled contacts of the West African Fertilizer Association (WAFA) with the global market knowledge of Argus – making it the best place for you to find new opportunities and new partners in West Africa.